﻿Yessss, love last months Tie it On box, those socks? I’m def keeping them for myself, muahahaha. 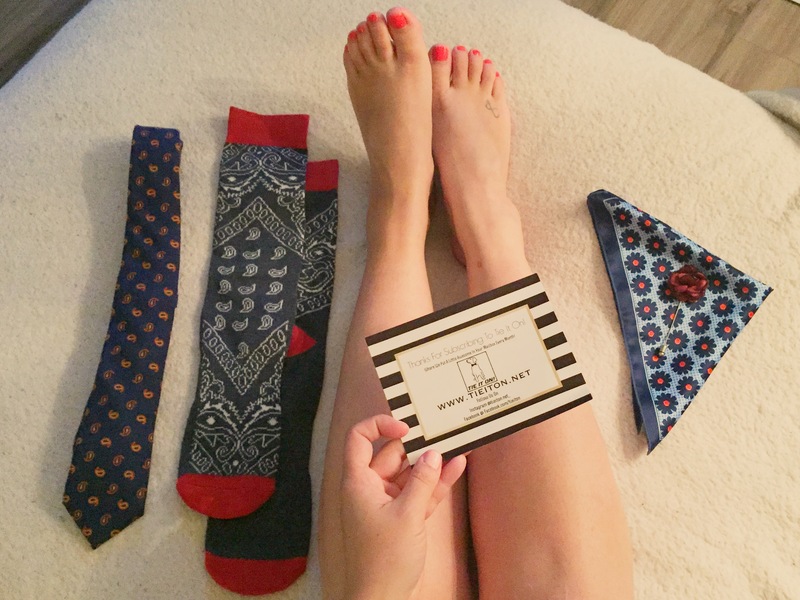 Tie it On is a gentlemen’s subscription box of monthly stylish accessories for that style aficionado in your life. Let them do the work for you in finding the perfect look for your next big day, business day or any day! In this box we got my new favourite socks, they are so thick and super comfy! Loving the tie, it’s a different texture, I’m thinking wool perhaps? Love the blue and orange theme with the tie and pocket square which is a lighter and gives a bold pop of colour. Also the lapel pin is another great combo if you want to wear just the two or all three!